Dead Cross Tour starts tonight! Dead Cross are starting their first tour tonight at The Observatory OC in Santa Ana, CA. 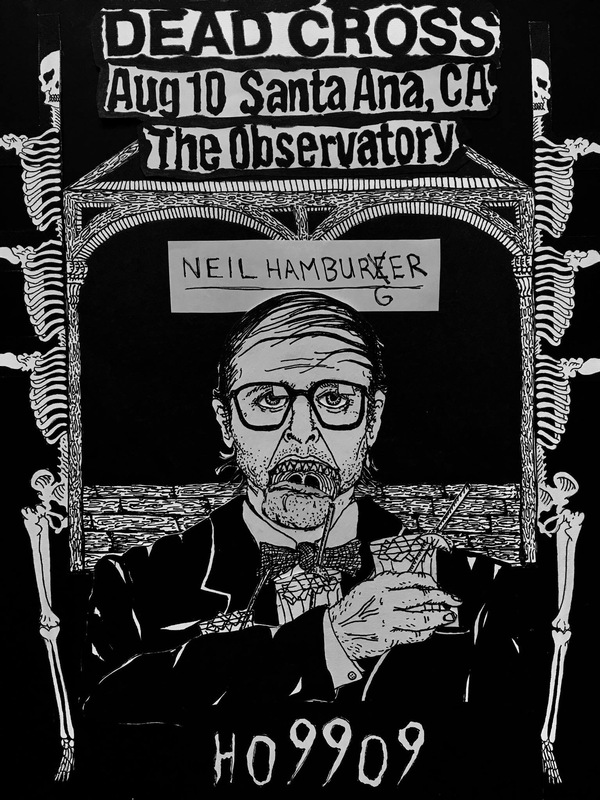 Also on the bill Neil Hamburger and Ho99o9, as supporting acts. 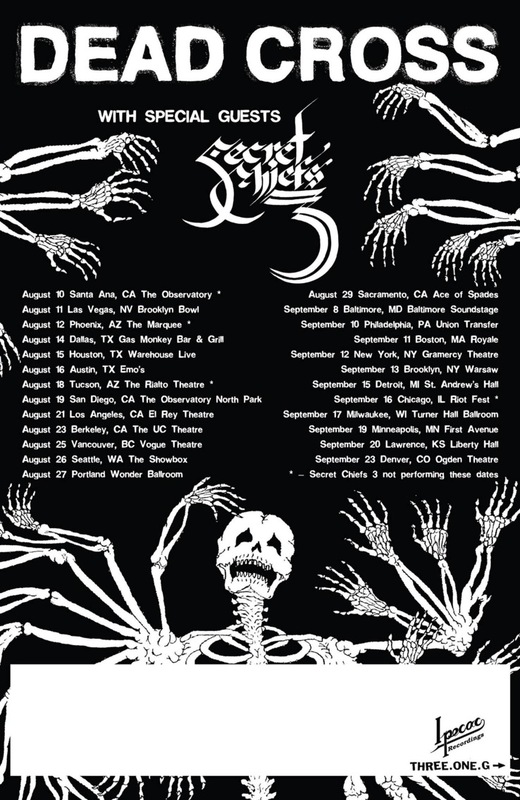 Here are the rest of the tour dates, with special guests Secret Chiefs 3 and other dates with supporting bands Silent, Author and Punisher.